Not for use in diagnostic or therapeutic procedures. Reagent kit for nuclei extraction and DNA staining of nuclear DNA from eukaryotic animal and plant tissues to determine absolute and relative genome size and ploidy level. 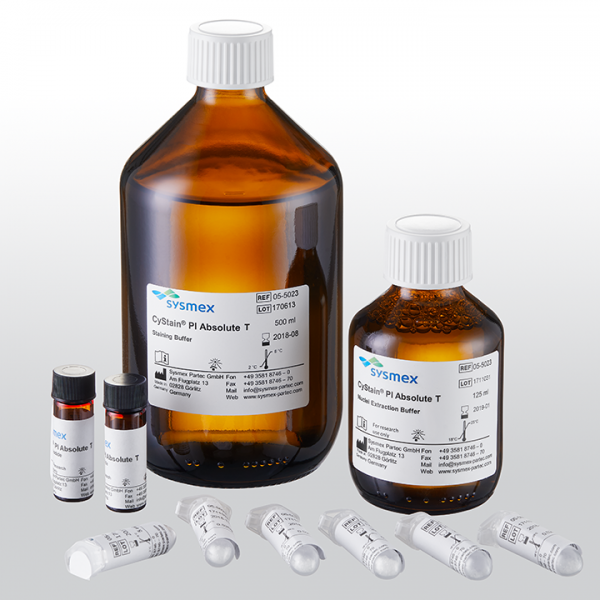 The reagent has been created specifically for selected configurations of the Sysmex CyFlow Ploidy Analyser and CyFlow Space flow cytometers.